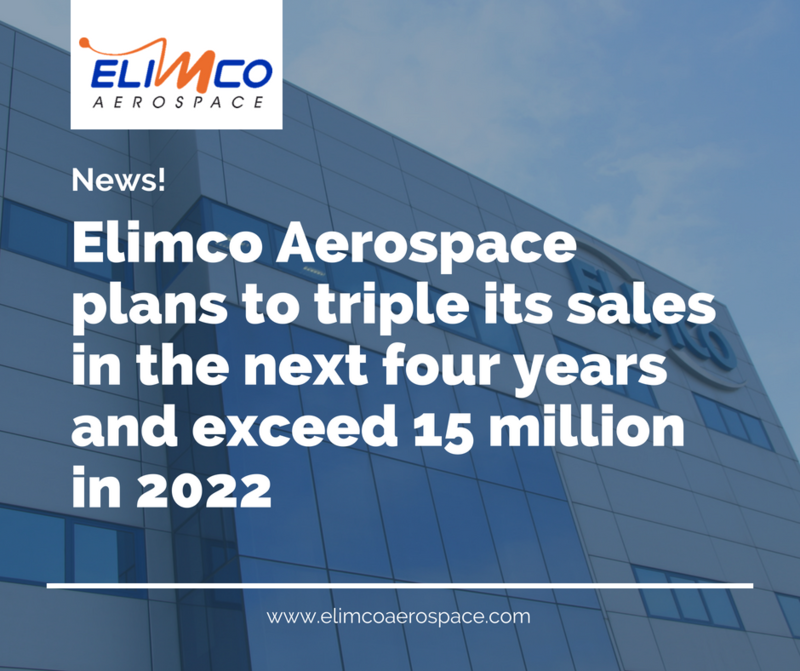 Elimco Aerospace, a company specializing in high value added technology for the aerospace, defense, railway and naval sectors, among others, plans to triple its sales in the next four years and exceed 15 million in 2022. With this business plan, the Andalusian company will participate in the fourth edition of Aerospace and Defense Meetings (ADM – Seville), the most important event in the aerospace industry in Spain, organized by “Ministerio de Economía y Conocimiento” through Extenda (Andalusian Agency for Foreign Promotion) and BCI Aerospace company. The aim of Elimco Aerospace for this key meeting for the aerospace sector worldwide is, (as it noted in a press release), to enhance alliances with tis current customers and generate new business, around the geographics areas where it will enhance it positioning: Madrid, France, Germany and Italy. To achieve this goal, the internacional market plays has key role, due to the overall character of the major programmes. For this reason, the company will be presented at ADM Seville 2018 as a solvent partner not only for the major aeronautical and defense firms, but also for the first level suppliers (Tier 1) both nacional and international, guaranteeing the highest standars of fulfilment: on time, on quality, on cost. Elimco Aerospace has the support of Ingemont, wich acquired it in 2017, with the aim of start-up a strategic plan with which to relaunch the company and take advantage of its competitive advantage as a reference company in the aerospace sector, algo generating synergies with the “know-how” and the experience of its participants, allowing it to provide services not only in the aerospace sector, but also in others like railway, naval or defense sector, in which it starts to explore common work paths taking advantage of the innovation impulse of the company. Tagged adm sevilla, elimco aerospace, seville conference.